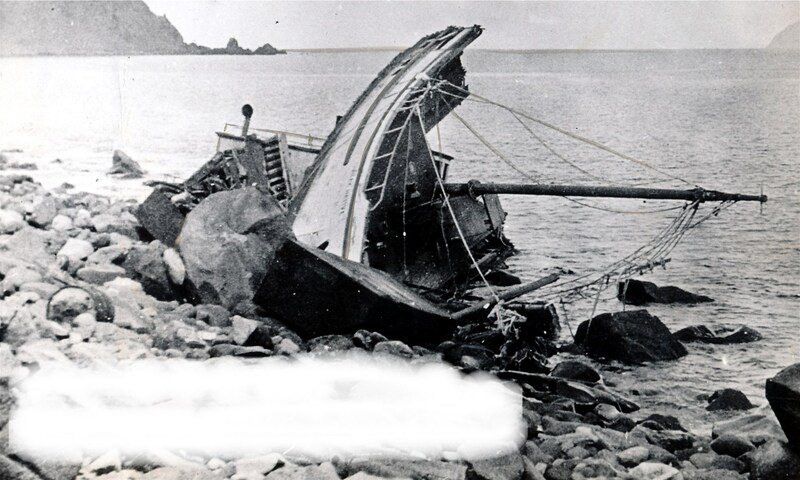 C B BROWER (1934) The vessel C B Brower is reported to have been wrecked off of Point Barrow and lost in 1934. C HOWLAND (1876) The U S Revenue Cutter Service 1868-1888 files list the 333 ton Bark C Howland lost September 12, 1876 northeast of Point Barrow. See Cornelius Howland. CALEB EATON (1884) The 110 ton whaling schooner Caleb Eaton was crushed in the ice and lost on July 17, 1884. She had departed San Francisco in March of the same year bound for whaling in the north Pacific. CAMILLA (1876) The 328 ton wooden bark Camilla was caught in the ice and abandoned northeast of Point Barrow on September 12th during the whaling season of 1876. She was carrying 190 barrels of sperm oil, 300 barrels of whale oil and 5,000 pounds of whale bone valued at $30,000. The Camilla was valued at $36,000 at the time of the disaster. CARLOTTA (1871) The 480 ton wooden bark Carlotta of San Francisco was abandoned in ice around Point Belcher on September 14, 1871 while in the service of the whaling trade. She was valued at $52,000 at the time of the loss. Many vessels were lost from the Arctic Whaling Fleet during the same time period and multiple resources and descriptions are available. Sources: 1. U S Revenue Cutter Service Microcopy 641 (1867-1914), 2. Harpers Weekly (December 2, 1871) “Destruction of the Arctic Whaling Fleet”. CAULAINCOURT (1861) The 657 ton whaling ship Caulaincourt from LeHavre France was stove in by ice on September 5, 1861 and became a total loss at Point Belcher. CHAMPION (1871) The 367 ton wooden whaling ship Champion was abandoned in ice around Point Belcher September 14, 1871. The vessel was valued at $40,000 at the time of the loss and had a cargo of whale oil and bone aboard, some of which was salvaged. She had departed Edgartown, Mass. August 14, 1869. CHELYUSKIN (1934) The Russian steamship Chelyuskin became trapped in the ice November of 1933 and was lost off the northern coast of Russia. 101 men, women and children abandoned the ship to the ice pack. They drifted for many months and were rescued between the Bering Strait and Wrangell Island April 13, 1934 by a group of Russian aircraft. CLARA LIGHT (1886) The 179 ton whale schooner/tender Clara Light was abandoned in the ice 15 miles N of Point Franklin late August of 1876. She had departed San Francisco March 18, 1876 and was valued at $10,000 with cargo at the time of the loss. COMET (1871) The wooden whaling bark Comet was crushed in the ice between Point Franklin and Sea Horse Island on September 2, 1871. Her home port was Honolulu, still part of the Sandwich Islands at that time. Her American owners had registered her there to fly the Hawaiian Flag to protect the Comet from rebel cruisers. All those aboard survived the casualty. CONCORDIA (1871) The 368 ton wooden whaling bark Concordia out of New Bedford, Mass was abandoned in the ice near Point Belcher on September 12, 1871. The following year Captain Kelley of the bark Gay Head visited the location and reported the Concordia had been destroyed by fire. CONTEST (1871) The 341 ton whaling bark Contest was abandoned in the ice around Point Belcher September 14, 1871. The Contest was valued at $40,000 at the time of the disaster. CORINTHIAN (1868) The 390 ton whaling bark Corinthian was lost at Blossom Shoals August 30, 1868. CORNELIUS HOWLAND (1876) The 333 ton wooden whaling ship Cornelius Howland was caught in the ice and abandoned in the Arctic Ocean during the whaling season of 1876. Her home port was New Bedford, Mass and she was valued at $40,000 including her 1,400 barrels of whale oil and 8,000 pounds of whale bone on board at the time of the disaster. CYANE (1883) The 296 ton wood bark Cyane stranded and was lost at 7:00 p.m. August 23, 1883 while on a whaling cruise in Arctic waters. The crew of 17 was forced to abandon the vessel 5 miles NE of Point Belcher and the vessel went to pieces in a heavy SW gale. The Cyane was valued at $7,500 with no cargo aboard at the time. The Captain of the Camilla that Sewall Page shipped out on was Samuel M Prentice. There was a Captain Samuel M Prentice who died at 50 years old May 2, 1874. His funeral arrangements were in New Jersey and were announced in the New York Herald on May 3rd and May 4th of 1874. They invited his relatives and the relatives of his father in law, William Keeney. There was also a second person with the last name of Page on the 1858 voyage of the Camilla to the north Pacific. My sources list the Charles Brower (H. Liebes and Company) as having been sold to a Soviet shipping company, post 1928. Thank You for the heads up. I will do some follow up research and expand the entry for the Brower. This work is in the “under construction” phase and far from complete. Michael Burwell is assisting me with research and I am getting behind with the posting of our more complete descriptions of many of these disasters.